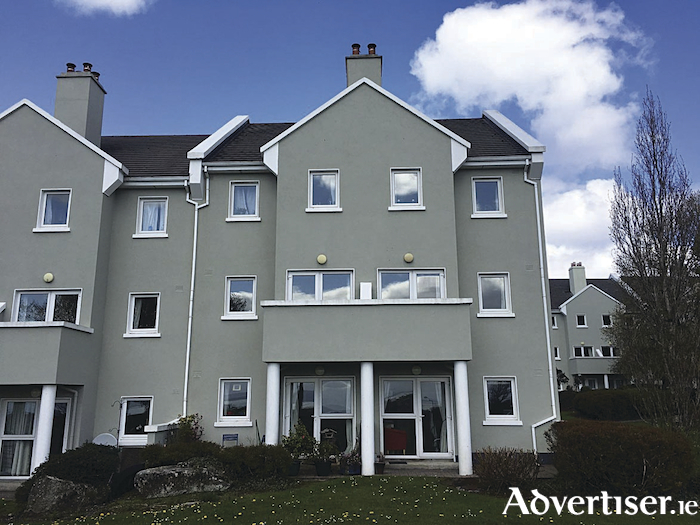 O'Donnellan & Joyce auctioneers is offering for sale this impressive three bedroom duplex apartment located in the much sought after and popular development of Cuan na Coille. The development of Cuan na Coille is located at the top of Taylor's Hill at the crossroads that meets with Threadneedle Road. Located on a elevated site in the mature sylvan setting containing unobstructed views overlooking Galway Bay and the Clare hills and the surrounding coastline, Cuan na Coille is built on landscaped gardens incorporating mature trees, landscaped pathways, and exterior lighting, with access via Bishop O'Donnell Road. This property is superbly located and is within walking distance of Salthill Promenade with a host of amenities and services and is ideally suited for somebody looking for a home with unrivalled access to the Galway city centre, NUIG, UHG, and Barna. No 12 Cuan Na Coille is a quality three bedroom first floor duplex, presented in turnkey condition throughout. The property has an entrance hall, an open plan living/dining room with a solid fuel fireplace in living area, a well laid out kitchen with ample storage and shelving, and a main bathroom. The living room has access to a private balcony that overlooks the manicured communal areas and offers stunning views out over Galway Bay and the surrounding coastline. The sleeping accommodation comprises two single bedrooms and a master bedroom with an en suite bathroom. All of the bedrooms have built-in wardrobes and solid timber flooring. The master bedroom also has spectacular views of Galway Bay. Its idyllic location offers a huge range of amenities required for modern day living with lovely views of Galway Bay and the surrounding coastline — the location says it all. This property would be an ideal holiday home, retirement home, or investment property. Viewing is highly recommended and guaranteed not to disappoint. The BER is D1. Asking price is €260,000. Page generated in 0.1125 seconds.